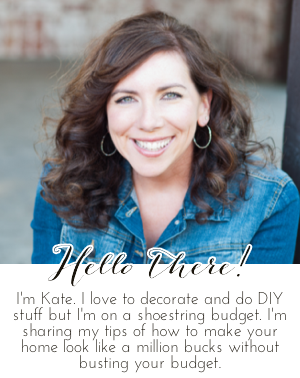 Chic on a Shoestring Decorating: Flaunt it Friday 194! Hi friends! My vacation is over. :-( We had a great time but I am always happy to come home and sleep in my own bed. I'm also happy to get back into the groove of the old bloggy blog. I have so much exciting stuff planned coming up soon. Woot! Before we party, have you signed up for the $300 Pfister Faucet credit giveaway? You should, it's almost over!! !